If one year ago you told me that DC Comics would take Superman back to his roots in the 1930’s and it would turn out to be the most modern and relevant take on the character, I would have called you crazy. But that is exactly what Grant Morrison has done to the character of Superman, and this comic is refreshing, exciting, and meaningful. Action Comics #2 begins shortly after the end of last issue. The government has captured the being known as Superman, and under a task force led by Lex Luthor, they are experimenting and testing his powers. This is a Superman that can bleed; he is not the all-powerful god that he will become later. 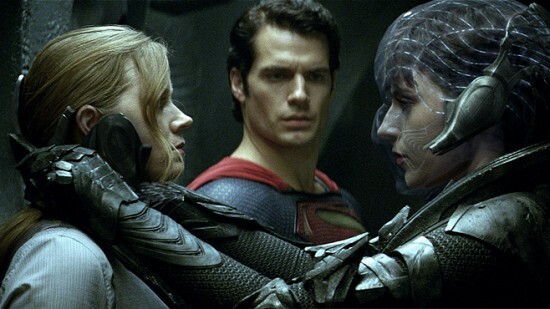 Superman breaks free, holds Luthor in a choke hold, and gets to meet Lois Lane for the first time. Part of the reason that this book works is the pure essence of motion instilled into every panel by Rags Morales. Last issue, his art came off as rushed. Well, Mr. Morales must have had a chance to catch up, because the art on this issue is fantastic. His Superman is always moving, has a smile on his face, and shows power in every shot. You will believe that man can fly, no wait, run really fast. More so than any of the other DC Comics #1’s, including Justice League #1, Action Comics #1 is the flagship book of DC. Superheroes were created in the original Action Comics #1 way back in June of 1939. The editors of DC Comics must have realized this as well so they gave the job of reinventing their original book and superhero to Grant Morrison, superstar comic writer and creator of one of the best Superman stories of all time known as All Star Superman. So how is Action Comics #1? Well, it can be summed up in one simple sentence. Action Comics #1 is a refreshing, brand new take on the character of Superman. By going back to the roots of Superman, in his humble beginnings in 1939, Grant Morrison has created a Superman that is more modern and relevant than ever. The issue begins with a young Superman. He can’t fly, but he can run real fast and leap buildings in a single bound. His costume is nothing but a t-shirt, a cape, and a pair of jeans. Superman grabs a CEO of a company that mistreated his workers, bribed city officials, and used illegal cheap labor. We love it when a family comes together. Over the past few weeks, the entire Kent family in the upcoming Superman reboot helmed by Zack Snyder has been completely cast, with Diane Lane and Kevin Costner playing the “Ma and Pa Kent” to Henry Cavill’s Clark Kent. Now, the circle is complete as Clark’s girlfriend/wife Lois Lane (depending on what continuity the film follows) will be played by Enchanted star Amy Adams. An interesting choice, as it seems that Snyder and producer Chris Nolan aren’t pulling any punches in terms of a well-known cast. Snyder recently had some words about casting Adams in the classic role.